In 1999, Bruce Schneier wrote, "Complexity is the worst enemy of security." That was 19 years ago (!) and since then, cyber security has only become more complex. Today, controls dramatically outnumber staff available to support them. The Bank of America has a $400-million cyber budget to hire security staff and implement a broad array of products. But what if your budget and sophistication is just a tiny fraction of the Bank of America's? The remaining 99% of organizations understand that they don't have sufficient protection for their internal network, but they also realize that to be sufficiently secured they need to buy multiple solutions and hire a large team to maintain it – which isn't an option. So they either stay with just an AV or buy a point solution to defend a specific part of their internal environment from particular types of attacks – only to later find out it doesn't meet what they really need. Cynet wants to change all that. 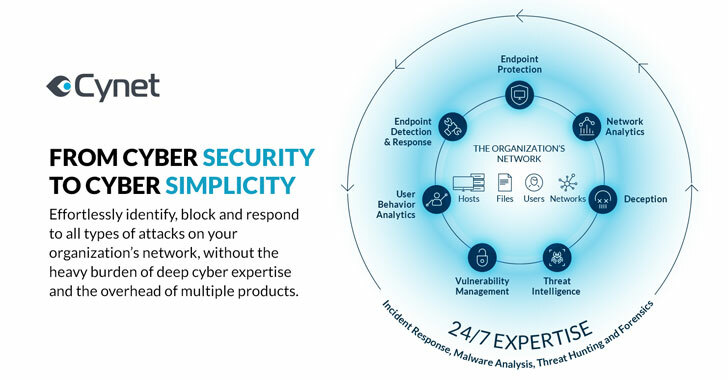 Cynet is trying to change the face of the industry with a consolidated platform that brings together multiple security capabilities—network and endpoint—while automating and simplifying the job of the defender. That's why they built a threat-agnostic platform from the ground up, converging all the technologies and capabilities to answer the visibility, prevention, detection and response needs of the resource-constrained organization. This means these organizations can defend their internal network, and Cynet has made it simple and intuitive, so high expertise is no longer required. If you don't have the resources of a fortune 500 company with a large security team and stack of security solutions already in place—Cynet is something to look into. 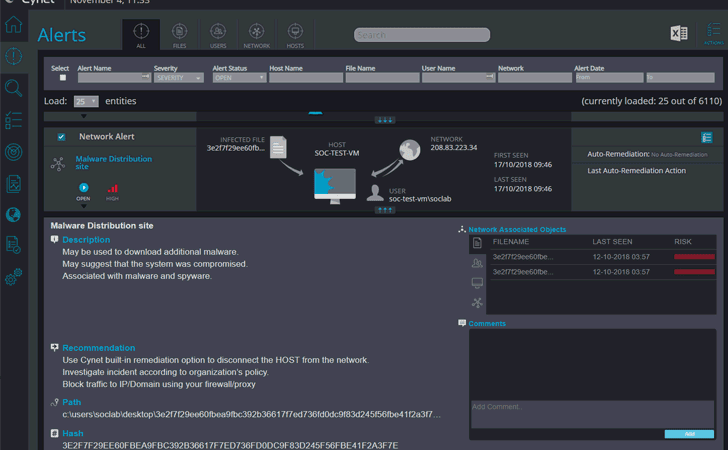 Cynet built the platform to be simple and easy to deploy and use; provide broad visibility across the network, endpoints, files and users; protect against a very wide range of attacks including common attacks as well as complex multi-layered attacks; and provide a team of security experts available 24/7 that complements whatever expertise you have in place. 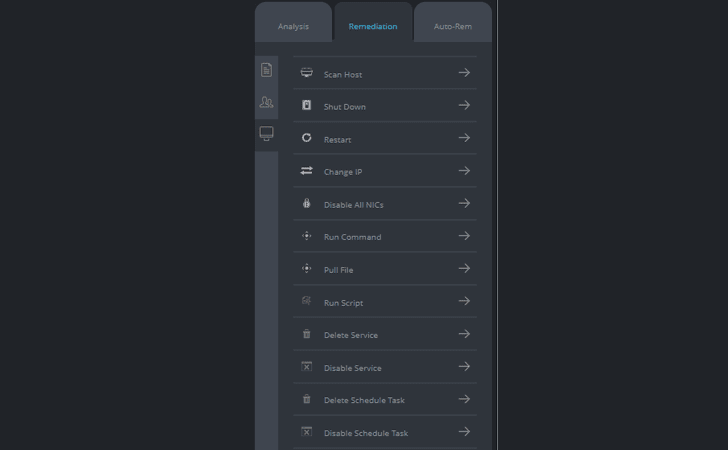 Cynet includes very flexible deployment methods: On-premise, IAAS, SAAS, and hybrid mode. We evaluated Cynet using their SaaS version with a free trial across a broad spectrum of capabilities—deployment, visibility, prevention, detection, and response. Cynet installed quickly—in just a few minutes. We tried it on a few hundred endpoints. The speed and ease of the installation were remarkable. In environments with many agents already deployed, additional agents are often resource hogs, slowing down system performance and giving false positives, creating blue screens, and blocking access to things that people legitimately need for business purposes. For some, agents require a degree of QA to ensure nothing gets broken. For less complicated environments, agents are just fine. How do you deal with the spectrum? Cynet has developed a unique "dissolvable exe" approach to work with organizations along the spectrum of no agents, for those who have way too many. It gives customers a choice based on what's right for their infrastructure which – in all cases – is fast, easy to deploy and incurs no performance issues. The immediate value Cynet provides is comprehensive visibility into the organization, including networks, applications, inventory, asset management and vulnerability. 1. OS Updates: Cynet checks the installed Windows patch and raises an indication if the patches are missing. In addition, Cynet creates an inventory of installed patches. 2. 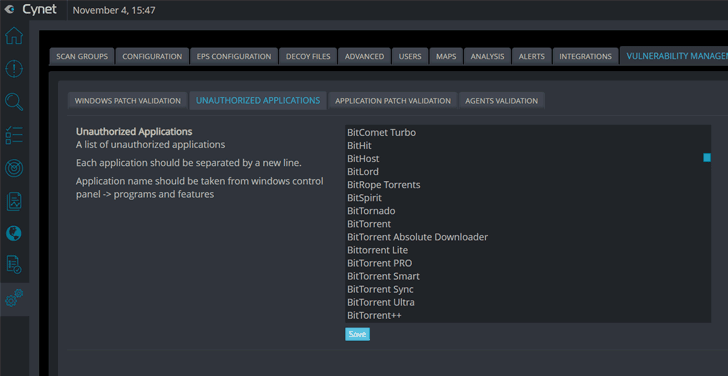 Unauthorized applications: Cynet provides a list of blacklisted applications that can be customized. Cynet will alert if any unauthorized applications are found. 3. Outdated applications: Cynet checks if a list of outdated application versions is installed, and if so – alerts if anything is found. 4. Security policy validation: Cynet checks if a list of installed agents exists on the endpoints and are currently running – alerting if anything is missing. 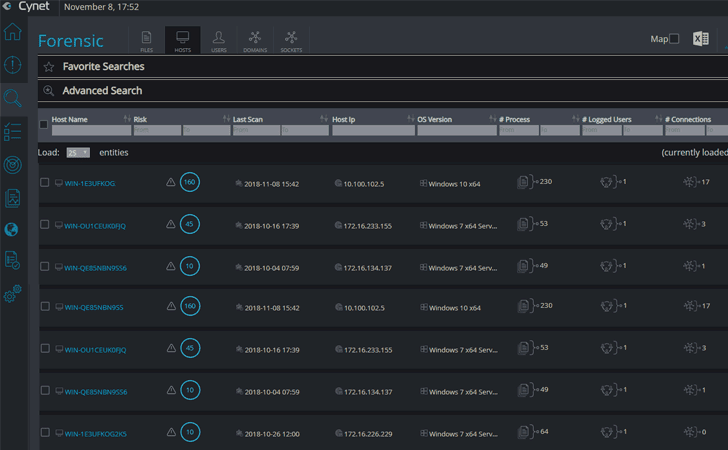 In addition, for correlation capabilities, the vulnerability management data is available via the "Forensic" screen for creating any type of report, query, etc. 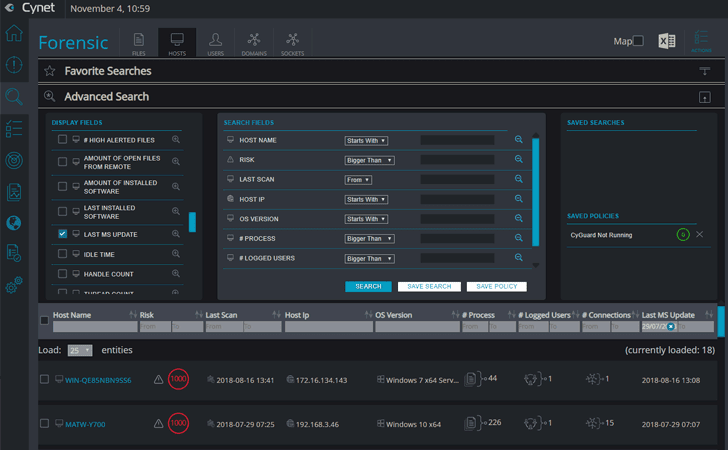 Using the data gathered, Cynet's Forensics screen immediately allows users to search across files, hosts, users, and sockets. Every object is clickable to easily understand its history. For example, you can search for common security issues such as users that have not replaced a password, what files are called upon startup, what applications are running on your endpoints and look for unauthorized access to applications using network visibility. Figure 5: A list of hosts that were not updated over a specific period of time. Mature security teams can also leverage all data being collected by Cynet through a full-documented rest API. For resource-strapped organizations, this means you automate as much—or a little—as you want. In addition, the capability allows you to simplify grunt work, but focus on the more strategic threats you face uniquely. This means you can choose and create your own auto remediation rules. Another key preventative capability in Cynet is critical component whitelisting. Cynet enhances endpoint protection with critical component whitelisting. Cynet protects vital components of the operating system by allowing access only to approved files, processes and communications. It does this by creating a list of whitelisted items, so the system knows what to let in, and what to deny entry. Cynet's approach to security is about convergence. Namely, Cynet not only brings together detection, correlation and automation—but unlike point solutions—Cynet also converges its analysis across endpoints, for users, files and networks. 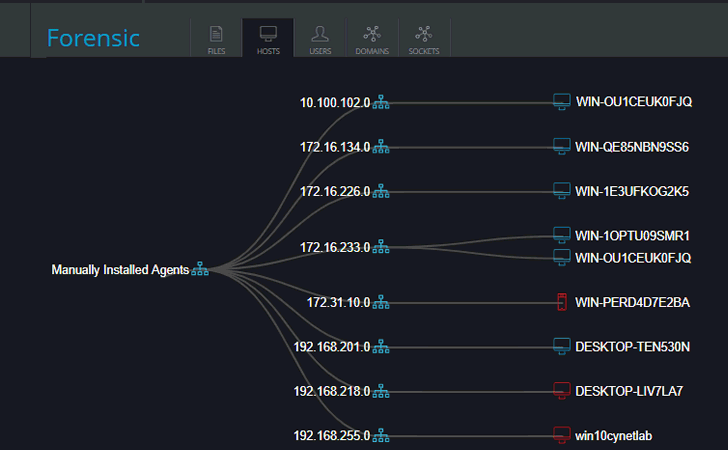 In addition to traditional endpoint security, Cynet's detection capabilities also include EDR, UBA, deception and network analytics. 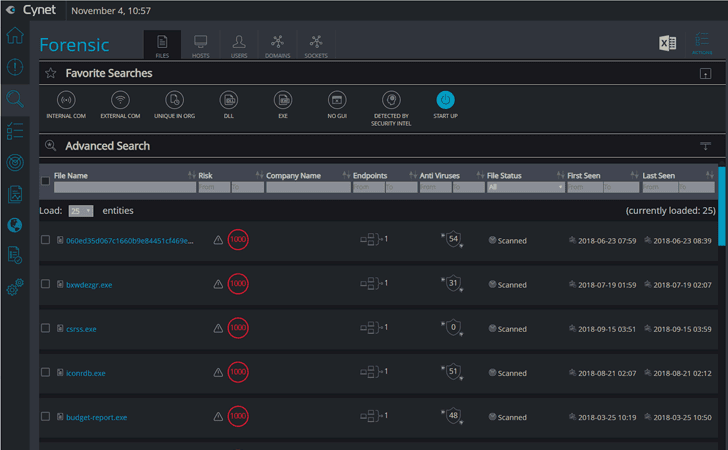 When seeing a live demo of the capabilities for the first time, it's impressive to see the variety of types of alerts that can be generated – such as malicious behavior, exploitation, ransomware, lateral movement, brute force, user login anomalies, DNS Tunneling, privilege escalation, credential theft and more, which are the result of the multiple detection layers that Cynet includes. In addition to the comprehensive detection, Cynet claims to have a very low false-positive ratio, as a result of the multi layered approach. Cynet provides an impressive range of response and remediation capabilities. Send to SOC – send the suspicious file to Cynet's operations team, and they will classify the file for the end-user. Send to Analysis – send the file to a sandbox which is part of the Cynet platform, there it will run dynamically in an isolated environment, and a report will be generated. Verify File – this is to verify if the file still exists on the endpoint or was deleted. Get memory strings/memory dump–collect the memory strings of a file, which ran as a process, for an analyst to identify malicious actions which were performed in the endpoint's memory. Pull File –pull any file which was scanned by Cynet from the endpoint to the Cynet server. This is in cases where the end user would like to analyze the file using other security products, or in cases where he would like to send the file to a specialist (for example). Kill, delete or quarantine malicious files. Disable users and run commands. Shut down the process or restart hosts. 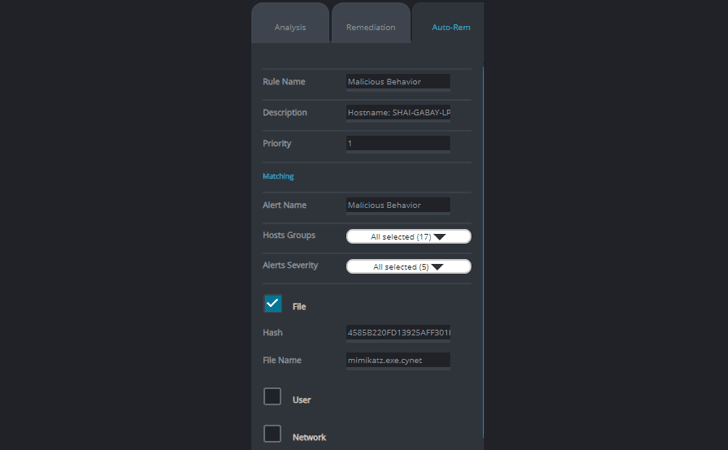 For each alert Cynet creates, the user can create and customize his own automatic remediation rule, to improve the incident response process and the prevention of a real-time threat. Which group to apply the rule to, whom to exclude, etc. Cynet includes CyOps - a 24/7 operations team - at no additional cost, to completement the expertise that their customer lack. What do you get? It's not a watered-down service that incurs hidden costs if you go above a certain threshold. Forensics: In the event of an incident, Cynet experts perform breach post mortems. 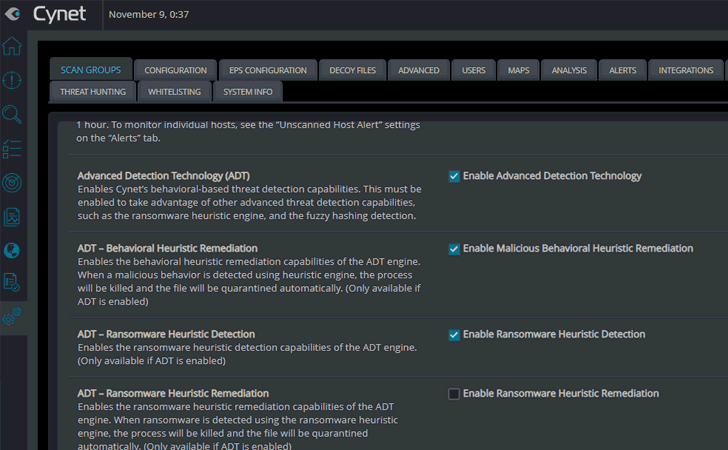 Malware analysis: Cynet malware reverse engineers analyze malware samples to get full attack life-cycle, origin and potential impact of malware, quickly identifying threat actors, motivations and likely targets. 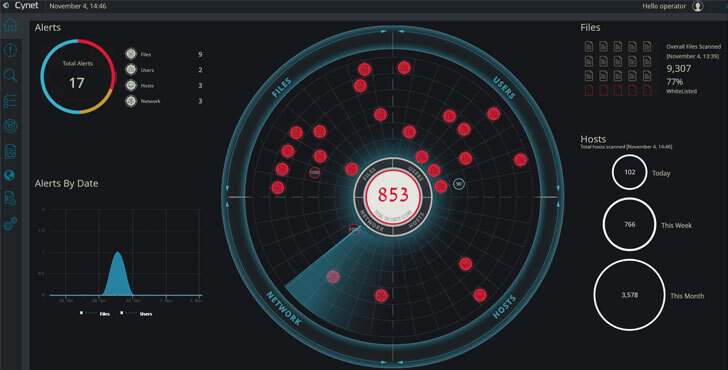 Threat hunting: Cynet's crowd-sourced intelligence from the customer ecosystem provides the unparalleled ability to uncover advanced threats across users, endpoints, files, and networks. Cynet is banking on an industry moving from fragmentation to consolidation. From the looks of what they've assembled, they may be onto something big. For organizations that do not have the resources and security expertise of a Fortune 500 company, we see Cynet as the ideal solution – its rapid deployment, single-pane-of-glass approach, and multiple technology capabilities is a real game changer.